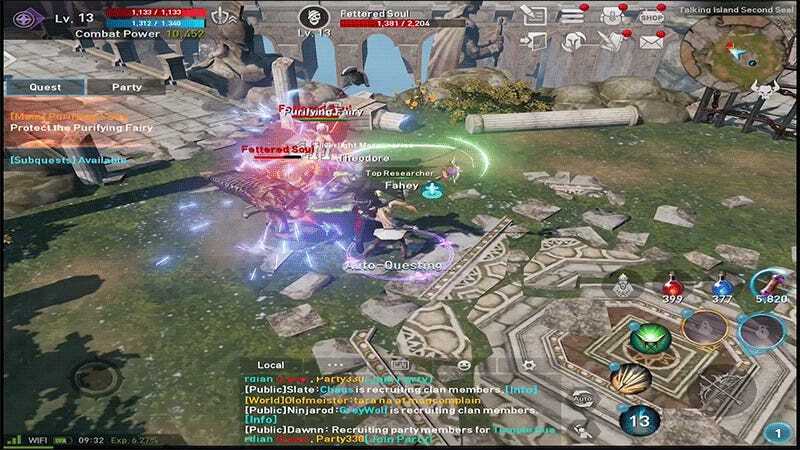 Released late last year in Asian territories to tremendous success, mobile massively multiplayer role-playing game Lineage 2: Revolution is now available on iOS and Android in North America. If the idea of a mobile MMO is daunting, do not fret—most of the game can be played on autopilot. The Lineage series has been around since 1998, when NCsoft launched it as its first MMO. Lineage 2: Revolution is a direct sequel to 2003's Lineage 2, itself a prequel to the first game. The timeline’s a little confusing, but you don’t really need to know the lore to play the mobile game. Players create a character from one of four races (human, elf, dark elf and dwarf). There’s no picking genders or customizing faces, though there are three hairstyles to choose from. From there players pick a class (warrior, rogue or mystic), enter a name and they’re ready to start questing. Or auto-questing. The screen’s a bit cluttered, but it’s pretty. Players can utilize a virtual on-screen joystick to move themselves around and activate skills, if they so choose, but the robust auto-questing feature makes all of that largely unnecessary. 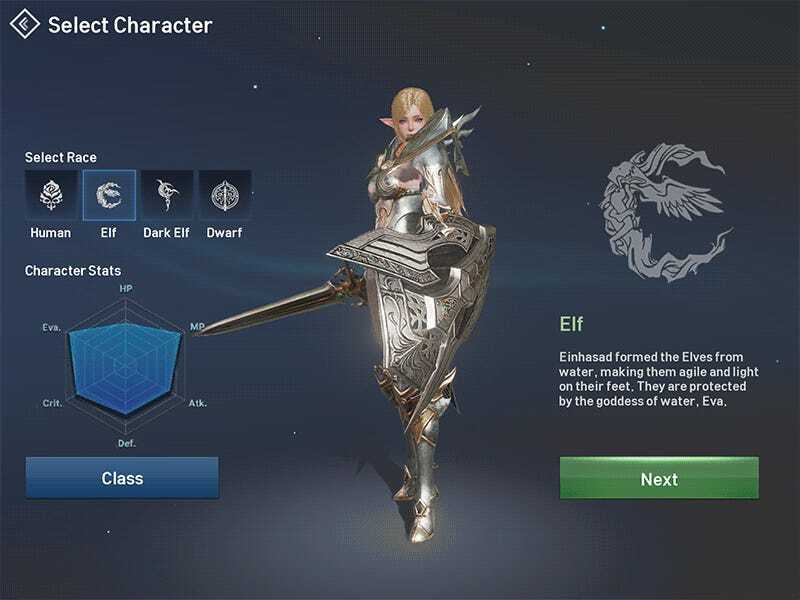 It’s a common feature among mobile MMO games, helping get around the whole touchscreen controls thing, but Lineage 2: Revolution does it particularly well. Tapping a quest automatically runs the character to their goal. If creatures need to be killed, they’ll kill the requisite number and move on. If an NPC needs to be chatted with, the character runs to them and opens a dialogue. Check it out in action below. Aside from challenge dungeons and PvP content, where the player must take control of their character, it’s pretty much all automatic. That means that the bulk of the game is managing equipment, upgrading skills, unlocking achievements and trying not to spend too much in the game’s cash-shop. I can handle that. I’m only a few hours in, but so far Lineage 2: Revolution has been much more relaxing than I expected. The game requires almost no effort. In fact, I am playing it right now.